More and more businesses are opting for VoIP service because it is flexible and easy on the pocket. Through VoIP, users can make phone calls by using an internet connection. It uses digital signals, which are re-coded into voice signals at the other end of the call. By using VoIP telephone service business can reap several benefits. Why use VoIP rather than a traditional phone line? There is an ease of flexibility in VoIP Service, you can move your phone without having to install new wiring. Suppose you need to move your office from one place to another, with the traditional landline phone you will have to reprogram everything which will consume more time. You can take VoIP phones anywhere with you, you just need an internet connection for VoIP phones to work and you are ready to go! VoIP makes calling from one part of the world to another cost effective. It hardly matters if you are calling from one cabin to another or from one country to another; as long as both caller and receiver have a good quality internet connection. 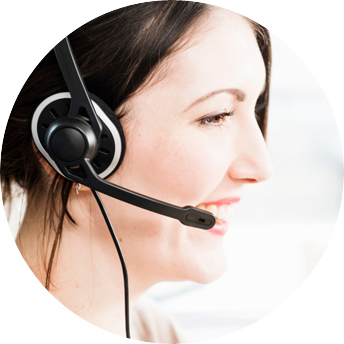 VoIP telephone providers provide multitier service plans which are beneficial for both large and small businesses. Businesses can install calling apps which eliminates the need for buying handsets for all the employees. Voice over Internet Protocol helps to increase the productivity of a firm. According to a survey, checking voicemails reduce the productivity of a firm by 40 percent, turns out voicemails are a huge time wasters. Instead with VoIP, every message can be taken through voicemail to email transcription and can be directly sent to the recipient through email, which saves time and thus increases the productivity. Internet telephony increases the productivity of a business by reducing cost. The business can utilize this money in other business aspects, for example in improving the infrastructure of the firm, providing a better work environment to its employees. VoIP Service provides better voice quality; all you need is a good internet connection. Improved codecs can result in even better voice quality than your traditional phone at less cost. More and more businesses are using VoIP due to its large benefits. VoIP is cost-effective, it improves employee-client collaborations, and improves the productivity of a business. It is best to choose a VoIP service provider which suits the needs of your firm, you can compare VoIP providers before finalizing on the one which satisfies the need of your business.